It’s been estimated that over a trillion photos were taken last year, largely due to the millions of smartphone cameras around the world. 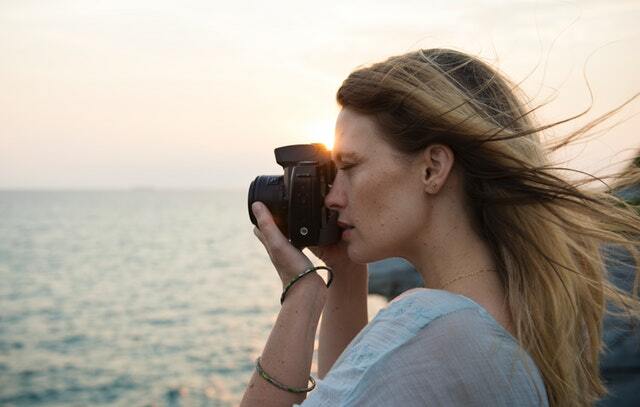 Photographs preserve memories, but when we’re taking so many, especially on vacation, sometimes it’s a good idea to step back and sort through our pictures to ensure that we fully appreciate and enjoy them. Just as you can edit the quality and substance of photographs, editing the quantity of pictures taken and stored, can help you focus more on the very best to share and display. When you return from your vacation, the excitement of looking at and sharing your travel photos can quickly wear off if you have hundreds of pictures to sort through. However, if you keep on top of organizing your photos, saving, editing, and deleting them if necessary, it can stop you feeling overwhelmed, and make it much easier to choose and manage photo projects at a later date. Having removed dimly lit pictures, duplicates and blurred faces, it will be much simpler to pick your favorite photographs to share, or upload as an online collage to customize and print. To avoid having so many pictures to sort through in the first place, take time to compose your travel shots carefully rather than just snapping everything you see. Swap hundreds of slightly blurred and unsteady pictures for a handful of well thought out and distinctive compositions. A study has shown that we remember objects that we observe better than the photographs of them, so concentrating on taking just a few choice photos also helps you to live in the moment and appreciate your surroundings more. As well as taking fewer photos, and removing less than perfect shots from your camera, you can now also easily delete tourist crowds from your holiday photos with a new camera app. Using AI to take a long-exposure shot that focuses on stationary background and other objects, the app then allows you to remove any unwanted people and other objects from your travel pictures. Before you set off on your next vacation, make yourself aware of some of the unusual sights to expect, or research special events that may be taking place while you are there. This way you can be prepared and ready with your phone or camera to take the very best shots. A one day festival, a seasonal holiday celebration or a one off natural event like an eclipse or meteor shower could provide you with some great, unusual pictures that, without any prior knowledge, you may well have missed. As well as dealing with all your photos as soon as you get home, sorting and storing your pictures automatically on your phone every day that you’re away will make it much easier to find special pictures quickly. Photos can be dated and labelled by location, and you can even search for particular faces and places to quickly pick out your favorite shots. By backing up your photos and storing them in this way, you’ll also avoid losing them completely if your phone is misplaced or stolen on your travels. Another way to avoid photos simply building up on your camera without being enjoyed is to share them with your friends and family while you’re away. If you’re travelling for a long period of time, this is also a great way to keep in touch and let people know exactly where you are and what you’re up to. Connect with close family on a daily basis by sending them a photo, instead of waiting until you get home with a load of pictures to show them all at once. If you’re travelling light, a smartphone is perfectly adequate for taking some great travel photos. You can just point and click or you can take the time to manually adjust the exposure for a brighter picture or use the grid guidelines for a better composition. Phone cameras do have limitations though, so, if you are looking to take some really special scenes of impressive architecture or exotic wildlife, you may want to use a DSLR. Changeable lenses enable you to take wide angled landscapes, crisp close ups and long distance shots. Larger light sensors also mean that pictures taken even in very low light are clearer, more colorful and more detailed.